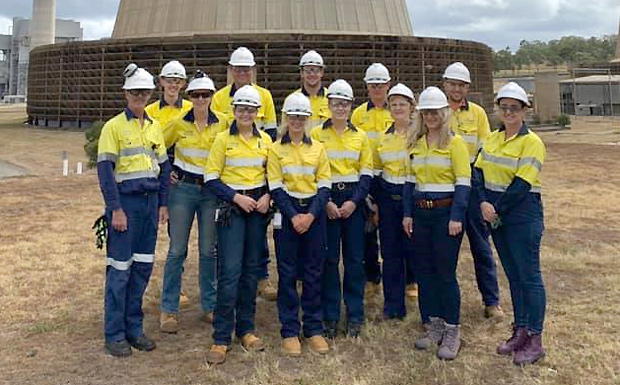 Seven South Burnett locals are honing their skills as apprentices and trainees after joining the Tarong Power Stations team recently. Stanwell’s nearby Meandu Mine, which is operated by Downer Mining, will also be welcoming two apprentices and one trainee in early February. The new recruits will develop skills in fields such as electrical instrumentation, mechanical engineering, material handling and processing, and business administration over the next one to four years to gain a nationally recognised trade certificate. Tarong acting site manager Michael Joy said the successful applicants would get first-hand experience in maintaining one of Queensland’s largest power stations. “We are delighted to welcome the new apprentices and trainees to our site, with local employment remaining a key focus for our business,” he said. The recruits’ structured learning program will be complemented by practical on-the-job training, alongside qualified tradespeople and mentors. “It’s an exciting time to be entering the energy industry, with plenty of change ahead,” Mr Joy said. “This is set to provide many valuable on-the-job learning opportunities. “They have signed up for a role that will be challenging, but it will also be very rewarding. Stanwell provides opportunities for apprentices and trainees to develop a broad range of technical and professional skills in partnership with Group Training Organisations. Tarong Power Station’s apprentices and trainees join a total of 13 new apprentices and trainees welcomed across Stanwell’s operations in Queensland. The 2019 intake brings Stanwell’s apprentice and trainee numbers up to 43 across the State.